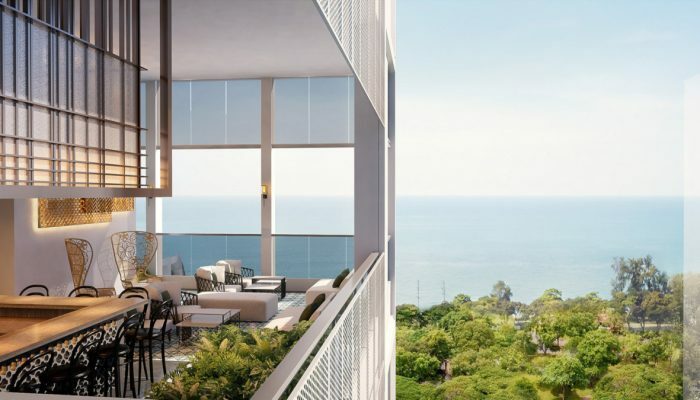 Here we present the launch of the NYON condo, a new freehold residential development at 12 Amber Road off East Coast Park, with sea views from higher-floor units. 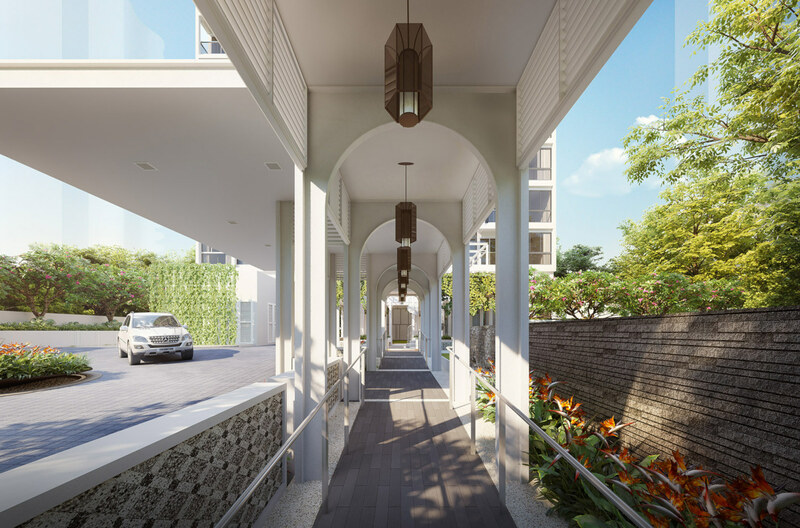 It is less than 3 minutes walk to the upcoming Tanjong Katong MRT station, and 12 minutes walk to Parkway Parade. This project is being developed and launched for sale by Aurum Land Limited, 2015 winner of the Best Boutique Developer (Singapore) award. 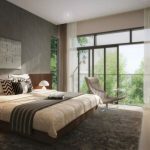 And in creating NYON Amber in conjunction with Park + Associate Architects, they have once again produced a gem, a lovely place to come home to, meticulously crafted with lots of attention to detail. 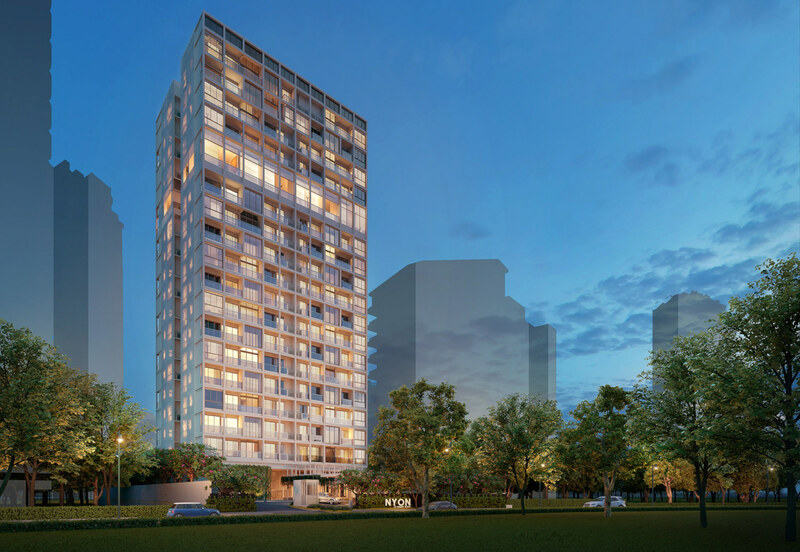 NYON @ 12 Amber is not just another luxury condominium. In keeping with its neighbourhood, the architecture of Nyon @ 12 Amber is Peranakan inspired, with design elements that evoke the cultural heritage of Katong. It will also stand out from its neighbours with its human-scaled ground level and layers of spaces, that recalls the identity of the East Coast. 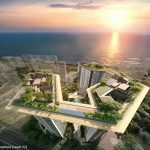 This is an 18-storey high development, and high floor units facing south will command partial sea views. In addition, the Nyon condo site is freehold land, something that is increasingly hard to find in Singapore, where all new government land sales are for 99 year leasehold sites only. Added to these attributes is its proximity to the upcoming Tanjong Katong MRT station (150m or 2 minutes walk) slated for completion by 2023. There are not many new freehold homes around this location, that is within walking distance of Parkway Parade as well. 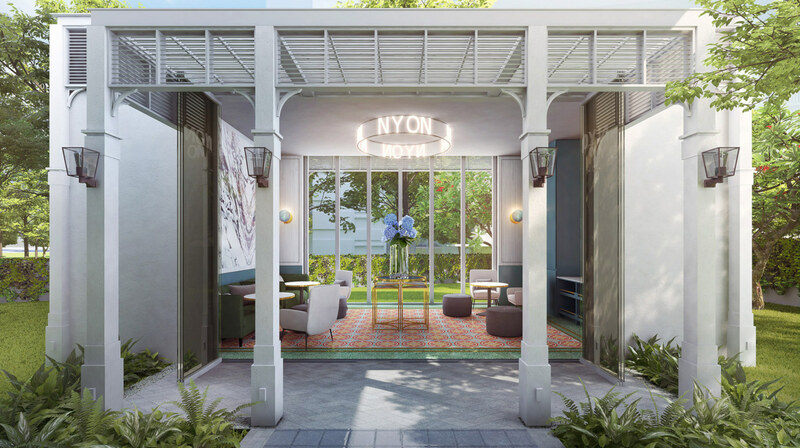 The NYON Amber location is in the heart of the Katong / Marine Parade area, in one of the most pleasant private residential neighbourhoods in Singapore, off its East Coast. 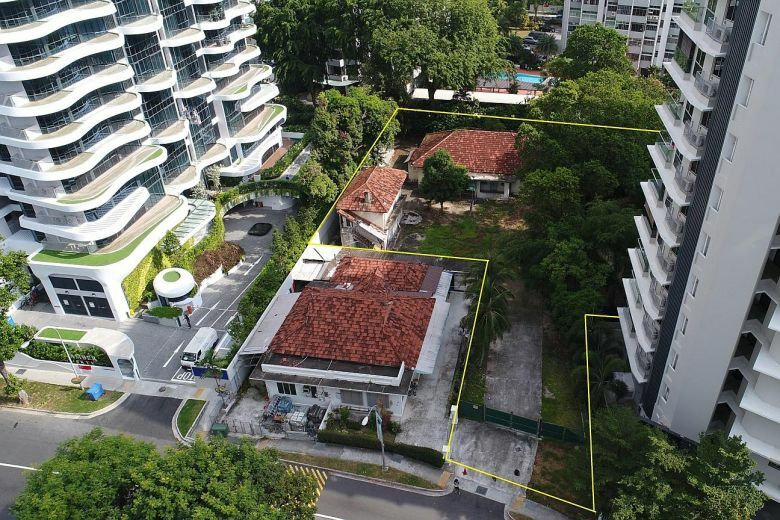 This NYON condo site is also one of the last remaining undeveloped plots along Amber Road. Amber Road, and the surrounding estates, is home to a community of long-time residents. And people who move here, both local and expatriate, often fall in love with it. 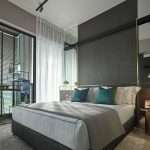 It is not just the sheer convenience of the location: less than 15 minutes drive to the Raffles Place CBD / Marina Bay Financial District, and Changi Airport for work, and a short walk to East Coast beach and the sea for relaxation. There is simply a special ambience to the whole place. A vibrancy and charm of its own, that is perhaps partly compounded of an eclectic mix of eateries, hipster cafes and bistros in the old shophouses lining the streets from Katong to Siglap, and partly of the long stretch of East Coast Park. 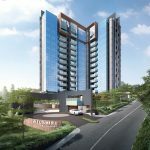 Historically, District 15 has always ranked only just below the prime central areas of Orchard Road, Bukit Timah, and River Valley, and is accounted one of the most desirable areas to live in. This neighbourhood is also well known for its rich cultural heritage and foods, and schools such as Tao Nan, Ngee Ann, and Tanjong Katong Primary. 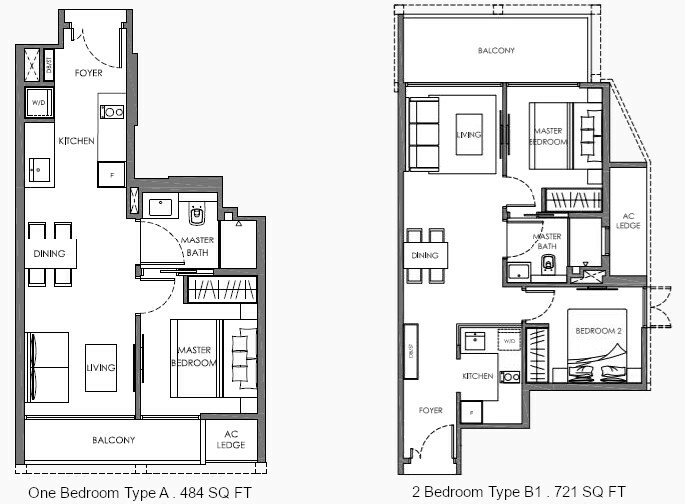 Draft Nyon floor plans are available. Below are some examples. 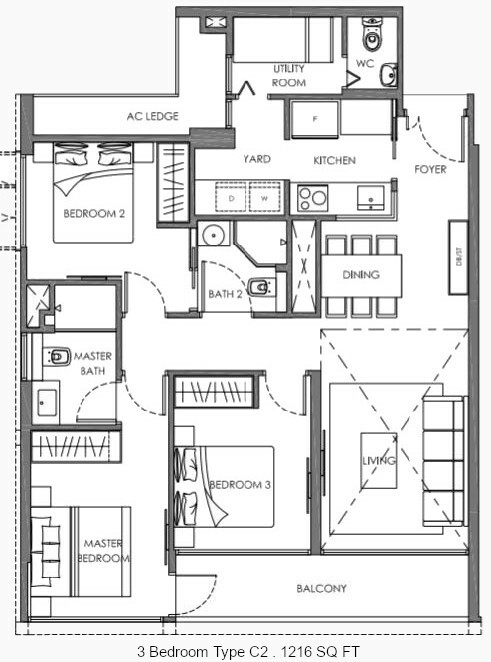 Kindly drop a note via the Contact Form if you would like to be sent the full set of draft Nyon @ 12 Amber floor plans. Good points are that the air-con ledges do not obstruct any bedroom windows. Also, even the 2 bedroom units have enclosed kitchens.
. No household shelter within the units.
. No bay windows or planter boxes.
. 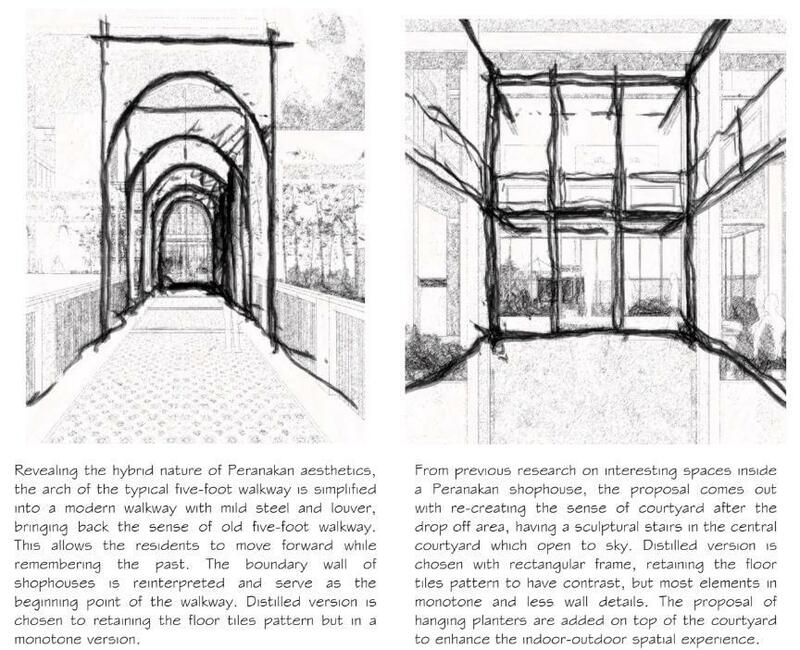 Extra storage space along the foyer walkways to maximise storage capacity.
. Contemporary Peranakan design theme.
. Double volume ceiling height of 6m at living / dining areas of selected 3 bedroom units.
. Rest of the rooms are higher than the norm, ranging from 2.7m to 3.25m ceiling height.
. Floor to floor is 3.5m. 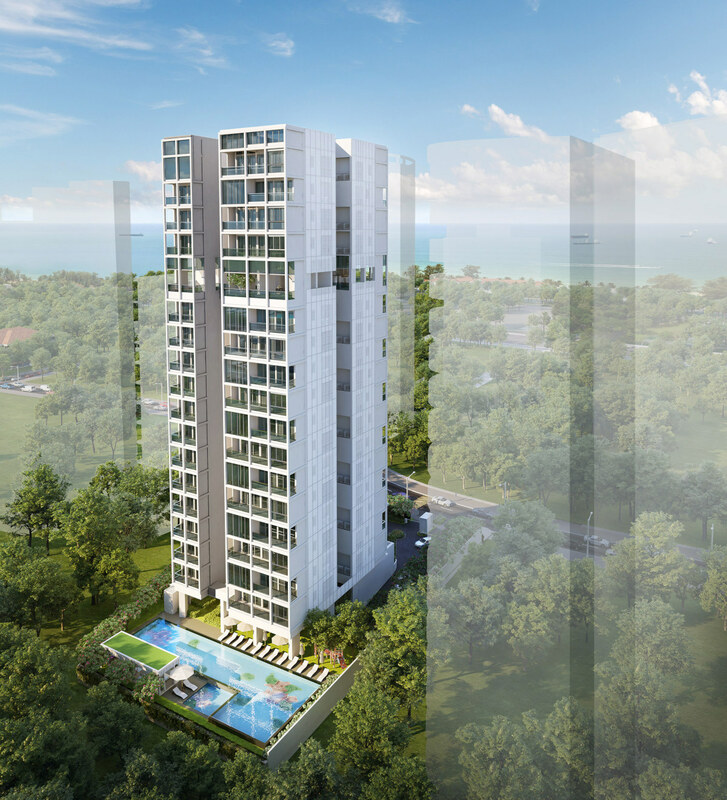 Nyon Singapore will be a high-rise condominium development set within the established private residential enclave of the Amber Road area. This is an L-shaped site, tilted in a roughly south-east / north-west direction. Sandwiched between King’s Mansion on the east, and the 22-storey recently completed Amber Skye development on the west, that helps block some afternoon sun. Facing south across Amber Road, are Amber Point and Parkway Mansion. Between and around these blocks, higher floor south-facing units at Nyon @ 12 Amber should be able to get partial sea views. 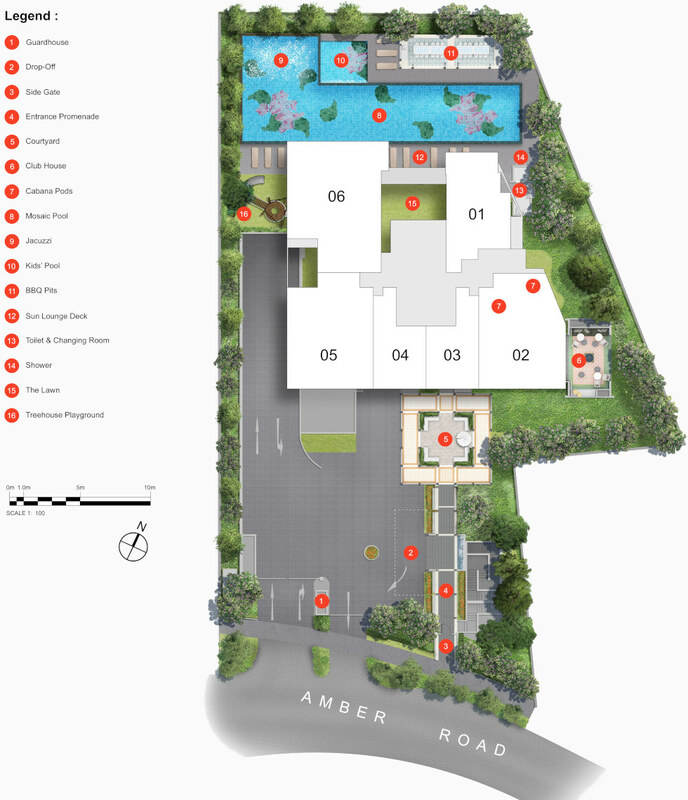 Swimming Pool, Kids’ Pool, Jacuzzi, Pool Lounge Deck, Clubhouse, BBQ Pavilions, Playground, Garden Pavilions, Communal Courtyard, Handicapped Toilet, Shower & Changing Room, The Lawn, Bicycle Parking, Drop-Off Area, Side Gate, Guard House, Letterbox & Parcel Collection. 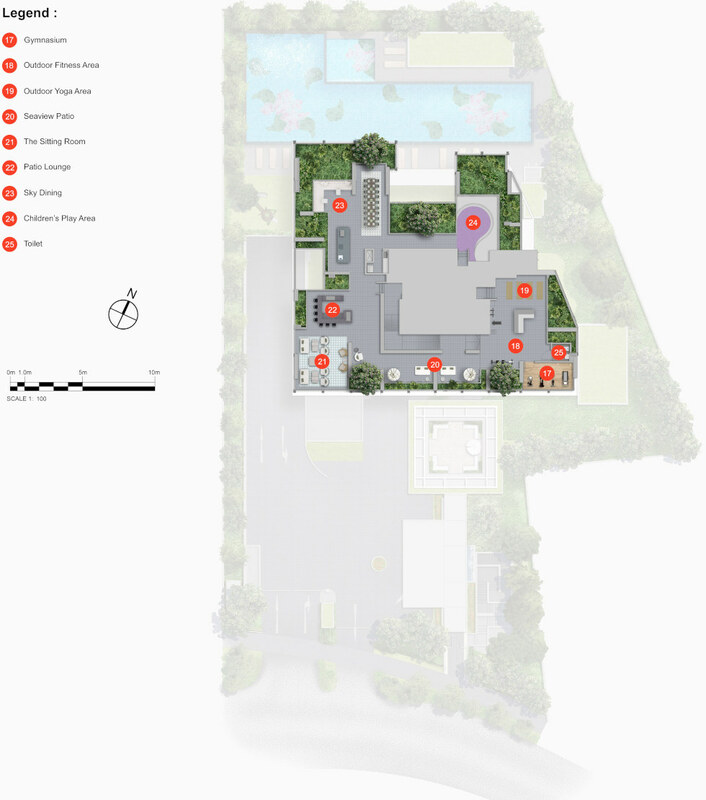 Gym, Outdoor Yoga Area, Outdoor Fitness Area, Sky Dining, Children’s Play Area, The Sitting Room, Patio Lounge, Sea View Patio, Communal Seating Area. 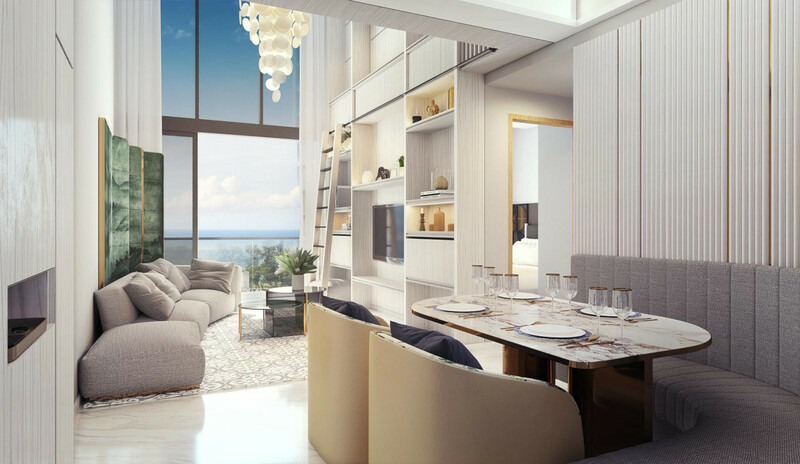 Residents can chill out, or wine and dine at the 14th floor, while enjoying the sea views, and the city skyline lights. The NYON showflat is not open yet, but is taking viewing appointments. Please let us know via the Contact Form if you wish to view the showflat. Below are the indicative starting NYON condo prices. Please register your interest via the Contact Form below if you wish to be updated when detailed prices are released. The NYON Amber land parcel was previously occupied by 4 vacant old houses, that were sold collectively by tender, to Aurum Land Limited in September 2017. These all belonged to a single vendor, so Strata Titles Board approval was not required for the sale. 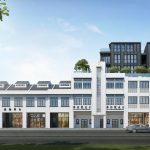 The purchase price for the 22,800 sq ft NYON site was SGD$60 million, which together with a development charge of about $20 million, added up to around SGD$80 million. This works out to about $1,255 per sq ft per plot ratio (PSF PPR) inclusive of the development charge. After factoring in overhead costs, financing, development and construction costs, the break even cost to Aurum Land would be close to $1,900 PSF PPR. 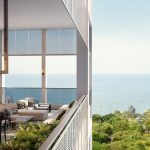 The Nyon condo selling price will also be benchmarked against similar new launches in the neighbourhood, such as for Amber45, that saw good sales recently at around $2,400 PSF. 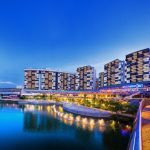 The Nyon Singapore is being developed by Aurum Land Limited, the property development arm of the Woh Hup Group, with a penchant for freehold projects in good neighbourhoods. 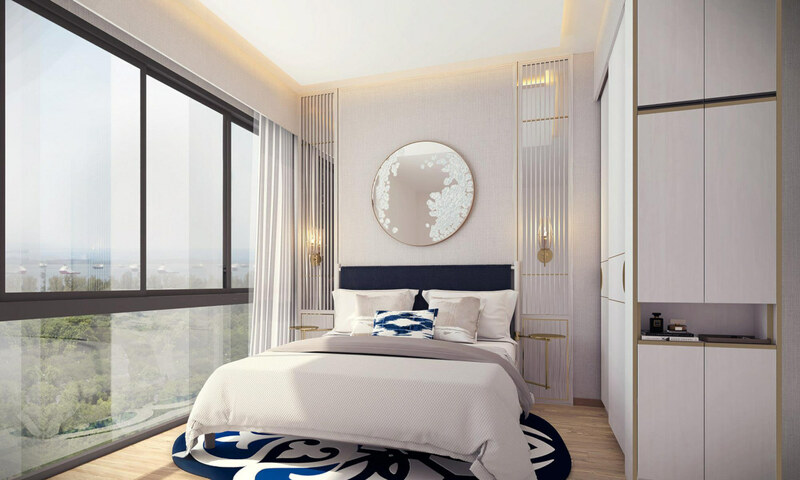 Aurum Land has delivered projects such as the iconic 1919 at Mount Sophia, The Orient at Pasir Panjang, Three11 at Thomson Road, and The Asana at Queens Road. Woh Hup (Private) Limited, the parent company of Aurum Land, was established in 1940 as a construction contractor. Over the many years since then, it has built a strong reputation as a contractor of choice among brand name developers. In the process it has earned more than 400 awards, inclusive of over 60 excellence awards. Woh Hup is today one of Singapore’s largest private construction & civil engineering companies, with a 2500 strong workforce. The company has been instrumental in constructing much of Singapore’s skyline. 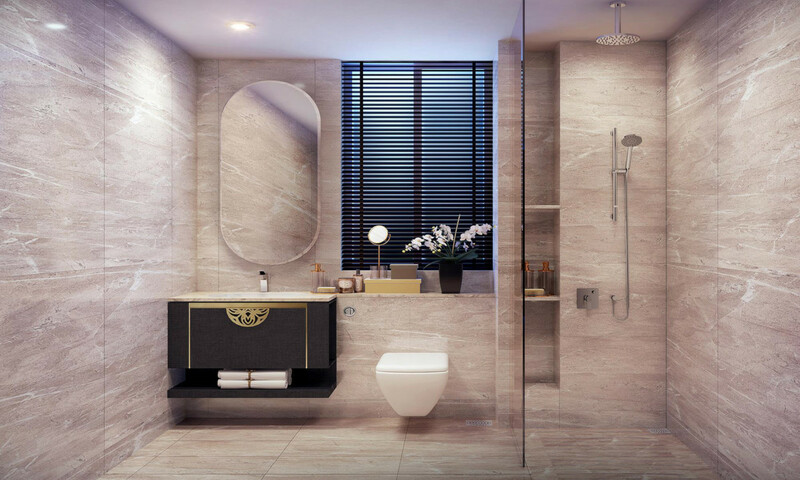 Some notable projects include Corals at Keppel Bay, Oasia Downtown, Leedon Residences, Nassim Park, The Altez at Tanjong Pagar, D’Leedon, and numerous office towers and MRT stations, institutions, and iconic projects like Jewel at Changi Airport, and Gardens by the Bay. Location. 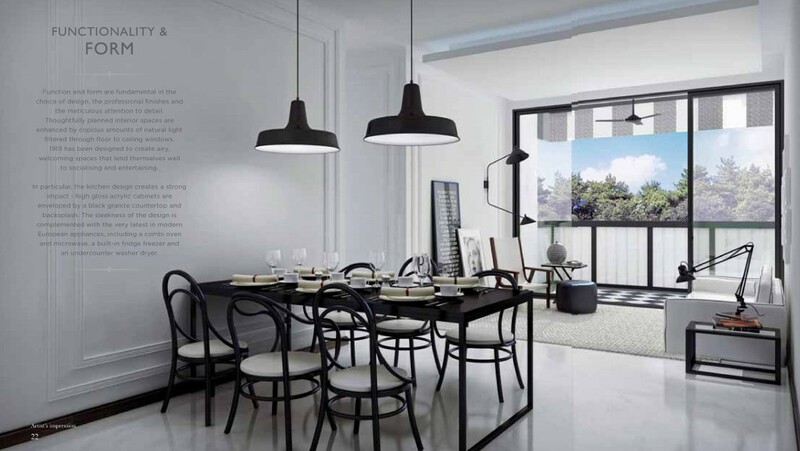 The NYON location at 12 Amber Road, is in the heart of the Marine Parade / Katong area. 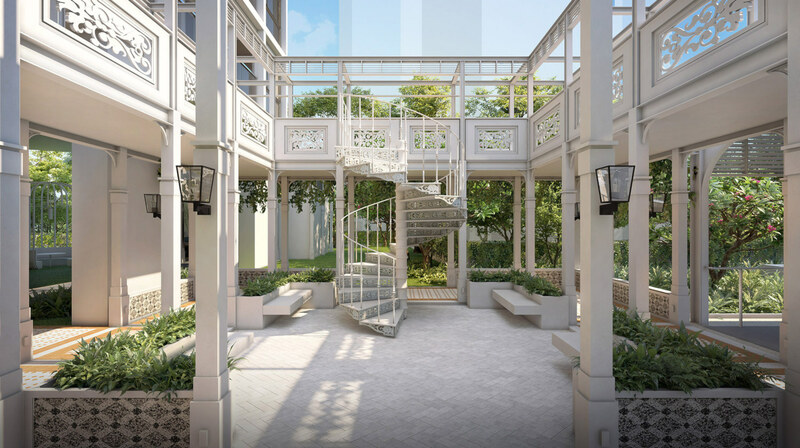 This area has always been considered one of the more exclusive private residential estates since the early days of Singapore, ranking just below the prime central prime districts of 9, 10, and 11. 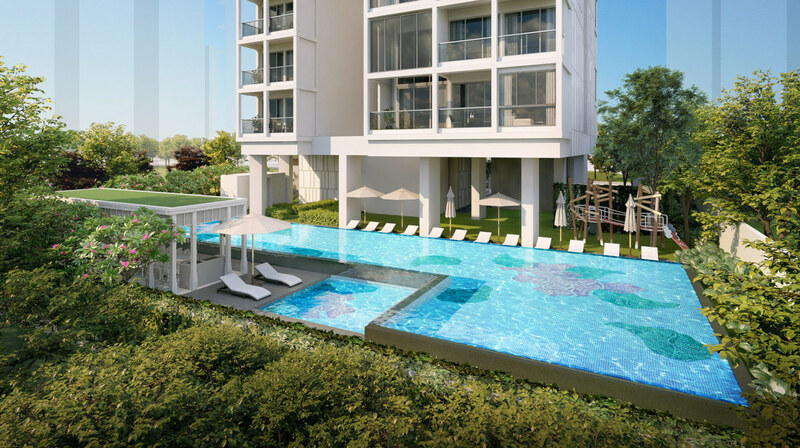 It is part of the swathe of private condominiums lining ECP and East Coast Park & Beach. Fortunately however, Nyon condo itself is further in and does not immediately front the ECP (East Coast Parkway), and so is spared the incessant hum of traffic noise. Shops, Banks, F&B, Supermarkets. 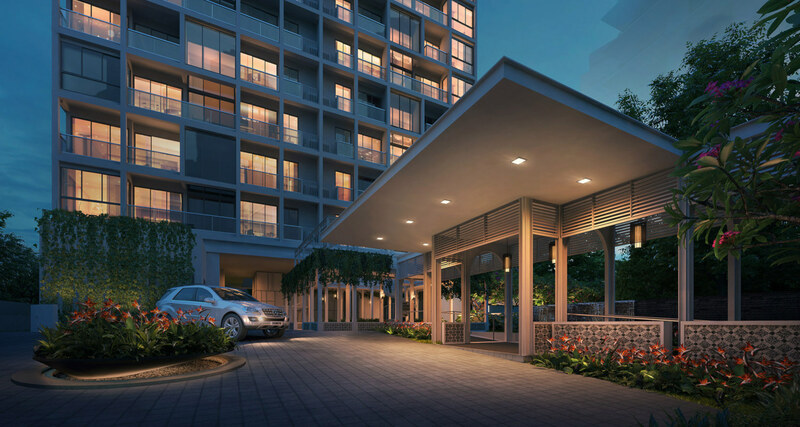 The Nyon Amber location is about 850m or 12 minutes walk from Parkway Parade and Marine Parade Central. This is practically the shopping heart of the East Coast, with a wide range of shops, dining outlets, fast food and a food court, department store, 2 big supermarkets, a cinema, and branches of every single retail bank in Singapore. Schools. Highly regarded primary schools in the neighbourhood include Tanjong Katong Primary (within 1 km), and Tao Nan and Kong Hwa Primary (both SAP schools), and CHIJ (Katong) Primary and Haig Girls’ schools (all within 2 km). Other noteworthy educational institutes in the vicinity are the Canadian International School (Tanjong Katong Campus), Chatsworth International School (East Campus), and Chung Cheng High School. Sports & Recreation. East Coast Park, East Coast Beach, East Coast Lagoon, Xtreme Skate Park at East Coast. And the park connector along which one can cycle all the way to Kallang Riverside and on Marina Bay and Gardens by the Bay. Nearest MRT Station. 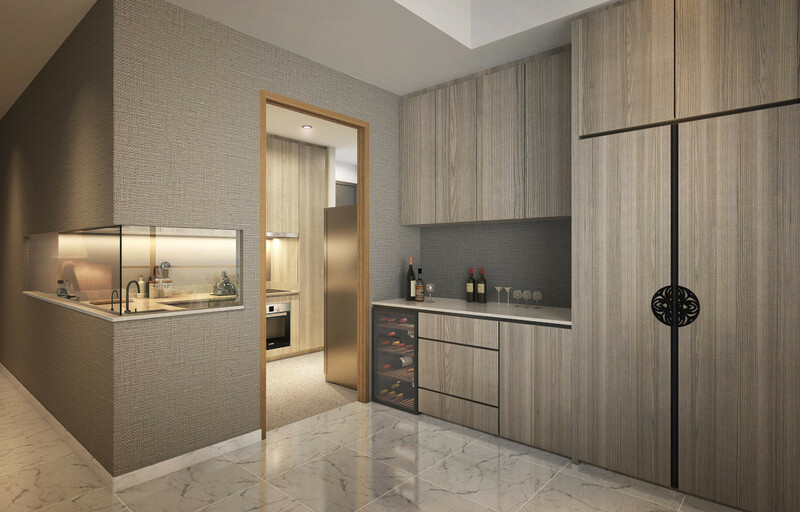 The NYON condo location is roughly 150m, or 2 minutes walk, to the upcoming Tanjong Katong MRT station on the Thomson East Coast Line (TEL), that is slated to start operating from 2023. Tanjong Katong station is 6 stations (roughly 15 minutes travel time) from Raffles Place and 7 stations from Downtown station. Accessibility. The accessibility of the NYON Amber location is one of its strongest attributes. It is about a minutes drive to the ECP, and about 5 minutes from it. From the exit onto the ECP, it takes roughly 5 minutes to get to the MCE (Marina Coastal Expressway) and the KPE (Kallang Paya Lebar Expressway). And 10 minutes to the Raffles Place CBD and Marina Bay, which is one good reason for the popularity of the East Coast area. In the other direction, it is 15 minutes drive to Changi International Airport and the upcoming Project Jewel @ Changi.